A new FTC study says that nearly 60 percent of popular apps for kids share data with developers or third parties, most of them without the knowledge of parents. Mobile apps for kids bring their own unique kind of headaches to the table. A growing number of young children have access to smartphones or tablets and while they're technically savvy enough to use them like pros, they're not usually quite so up to speed on things like privacy concerns and money. Remember last year when that kid blew $1400 on Smurfberries? That led some developers and publishers to at least talk about changing their ways, but now the Federal Trade Commission is raising the alarm about the lack of privacy in many of these apps and that only a small number of them disclose their data sharing with parents. The FTC report "Mobile Apps For Kids: Disclosures Still Not Making the Grade" found that 59 percent of 400 "popular kids' apps" on iOS and Android devices transmit information about the device on which they're being played to either the developer or a third party, but only 20 percent actually disclose the fact that this is being done. Despite some developers and app stores claiming that they're trying to make their apps more "child-friendly," the FTC isn't satisfied with the job that's being done. "While we think most companies have the best intentions when it comes to protecting kids' privacy, we haven't seen any progress when it comes to making sure parents have the information they need to make informed choices about apps for their kids," FTC Chairman Jon Leibowitz said in a statement. "In fact, our study shows that kids' apps siphon an alarming amount of information from mobile devices without disclosing this fact to parents." The study also found that 58 percent of the apps in question contained advertising but only 15 percent of them disclosed that fact prior to downloading, and 22 percent contained links to social networks, but only nine percent reported it. Furthermore, "a relatively small number of third parties received information from a large number of apps," which could allow them to develop detailed profiles of their customers based on their behavior across multiple apps. "The report strongly urges all entities in the mobile app industry - including app stores, app developers, and third parties providing services within the apps - to accelerate efforts to ensure that parents have the key information they need to make decisions about the apps they download for their children," the FTC said. 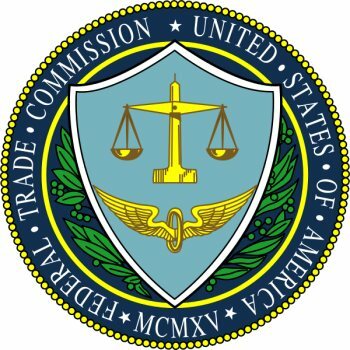 "The report also states that FTC staff is launching non-public investigations to determine whether certain entities in the mobile app marketplace are violating the Children's Online Privacy Protection Act or engaging in unfair or deceptive practices in violation of the Federal Trade Commission Act." I don't have a problem with ad-supported games - it's the inevitable dark side to all the "free" apps that mobile customers have grown used to - and I'm not naive enough to believe that most people would pay attention to full disclosure about privacy issues even if it was being made. Even so, it does need to be made. It's unfortunate when people choose to be indifferent about such things, but far worse when they're deprived of the choice altogether.